The Texas Experiment: An Ethnography: Reading This Post On Your Commute? The traffic situation in Austin is pretty weird/kinda terrible. Compared to most cities, traffic and parking aren't such a problem. This isn't Atlanta or Los Angeles. But, living here, it can get on your nerves, especially since Austin is moderately-sized. Houston, Dallas, and San Antonio can blame their massive sprawl. So what's the problem with Austin? Austin was never built as a "dense" city; the streets were never planned as more than country roads to lead to or through the core. Therefore, Austin has missed out on some of the benefits of urban density - street trees, multi-use zones, sidewalks, bike lanes, etc. With Austin's booming population growth, trying to reclaim and manage urban planning this way is both noble and worthy, helping alleviate traffic, pollution, and environmental degradation, not to mention making the city more aesthetically pleasing. Luckily, Austin is a progressive town, pushing bicycling, walking, carpooling, and public transit as ways to beat the commute, rather than pushing to build more highways. 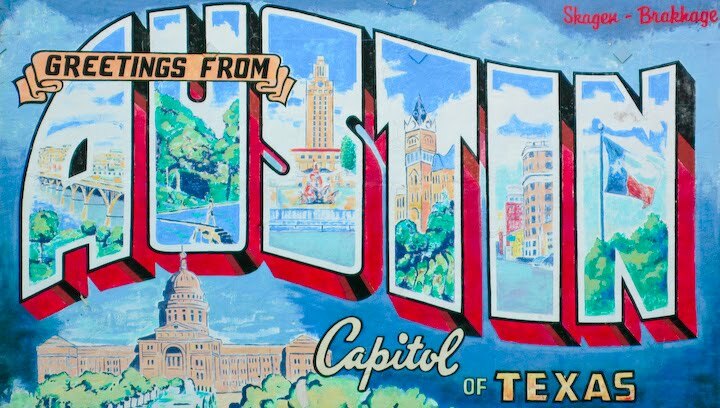 The New York City-based progressive think tank Drum Major Institute recently ranked Austin, with their passage of Proposition 1, in their top ten Best City Policies of 2010. "Some business leaders pushed for a conventional response to congestion: wider roads and more highways. But the city opted to go down a different path. 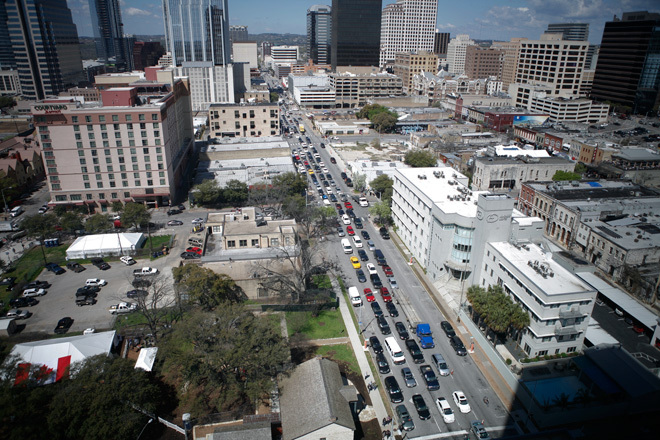 Recognizing that they could never build enough highways to eliminate traffic congestion, lawmakers instead put a $90 million bond issue on the ballot to improve Austin’s existing streets and make them more hospitable to pedestrians and bicycles." The long list of improvements are listed here, including multi-use boardwalks around the lake, more bike paths on major veins, more funding to mass transit, express lanes help diverge some of the congestion on the Mo-Pac Expressway and I-35, corner curb ramps, wider sidewalks (in some cases, simply, sidewalks! ), street trees, street lighting, benches, bicycle racks, and trash cans! Bicyclists, pedestrians, motorists, residents, rejoice!